Portable toilets provide a vital service for businesses across Texas, and the benefits of having job site portable toilets reach beyond the basic convenience of having toilets in easy reach of employees, contractors, and individuals on the worksite. Porta potty rentals are an important part of the logistics arrangements for your project, and they may even be required for the duration of your project by local laws in your area. Here are some of the reasons construction site portable toilets are an excellent investment. 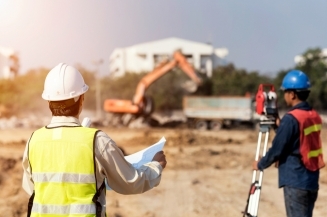 When you provide convenient toilets for your employees, you ensure all waste is held in one area of your job site and regularly removed through porta potty servicing visits. Many modern construction projects and industrial job sites are designed to avoid negative impacts to the environment. In providing environmentally-friendly services, a company may use electric vehicles and machinery, or the construction may feature reclaimed and recycled materials. Portable toilets also help protect the environment by ensuring that all waste created by employees remains in one area for easy removal. Also, porta-potties use no water, which can virtually eliminate the water wasted by repeatedly flushing toilets. Your employees don’t want to walk miles to reach the toilet, even if there are permanent bathrooms somewhere on the site. When they have work to complete, brief bathroom breaks help them finish their work on time and without added hassles. It’s helpful to provide toilets that are in convenient proximity to where your employees are currently working. Modern porta potties are clean, simple, and sanitary, and they remain an excellent investment for their value. In addition to providing a convenient location where employees can use the toilet, portable sanitation units also come in a variety of sizes to accommodate employees with disabilities with handicap portable toilets and simple hand washing stations for employee cleanliness. When a worker must walk a half mile to the nearest toilet, he or she may take half an hour for a single visit to the bathroom. Portable toilet rentals may be placed anywhere on your job site and are easy to move as work progresses. A toilet located within a few hundred feet of work means an employee may only need to leave his or her work for ten minutes for a bathroom break. Not only can the employee complete his or her work without having to rush, but their overall productivity and the quality of their work may improve when they don’t need to worry about finishing a task by the end of the day. Convenient toilets provide peace-of-mind for employees and help create a more efficient work site. Are you searching for a reliable and experienced company for your job site portable toilets? Got To Go Solutions provides comprehensive and cost-effective porta potty rentals for job sites across Texas. Whether you’re constructing a home in Denton or you’re building a skyscraper in Fort Worth, our porta potties for rent provide an essential service for your employees. Contact Got To Go Solutions for more information on our portable sanitation services and how you can rent a porta potty for your job site.